I met Mary O’Malley when I interviewed her for an article in Natural Awakenings Magazine. She inspired me then and she continues to inspire me. I am honored to share an abridged version of her post with you. A friend of mine lost her husband about a year ago. She was his caretaker for many years, and before that, she cared for her ailing parents. She feels like she doesn’t know who she is anymore and is trying to figure out what she is supposed to be doing next. She feels like her identity has been taken away. I believe just the opposite is happening. Life has taken away the caretaker role so she can get to know who she really is. I too have experienced what it is like to have the old identity ripped away. 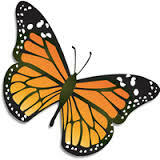 It feels like a butterfly whose wings are wet and cannot move. Often times our self-worth is tied to how much we accomplish or how much we can get done. When part of our identity is taken away from us, it is painful and scary. And our poor little mind goes crazy because it has always found a sense of safety through the illusion that it is in control. The mind is a tool for maneuvering through reality, but it is not reality. I believe Life is preparing us for being birthed back into the vast spaciousness of who we truly are. But, it can be confusing and scary for the ego. As the Tibetan Lama Chögyam Trungpa Rinoche says, “If there were no confusion, there would be no wisdom. Chaos should be regarded as really good news.” When we lose a part of our old identify, there can be so much confusion and grief that it feels like death. But, actually something new is being born. Remember that, although birth is wonderful, it is not neat and pretty. A human birth has pee and poop and blood, and it is painful. So it is important to do our Lamaze breathing, whether we are birthing a child or Life is birthing us! We can resist this process, or we can recognize that Life knows what it is doing as it takes this away and that away.